We see the problems the human family is struggling with, and really want to help. Yet- if the great mystics, sages and spiritual masters are right– rather than trying to change or improve the world, the most important thing is for each of us to first realize deeply who we are… that we are the world. Call us Children of Nature, the Universe, Earth, God, Tao, Spirit, Buddha Nature, Christ Consciousness, etc… it doesn’t matter. Much more important than any words spoken is to live with our hearts open, to empty ourselves of false beliefs, to be mindfully anchored in the present moment, to no longer be caught up in our false personas… to be awake. To realize that every man, woman, child, bird, insect, flower, cloud, river and tree that we look upon is another reflection of our Original Face, a unique creative expression of this entire Universe. Millions of us have had glimpses of this, we’ve been alternating between states of sleep and wakefulness for years, decades, perhaps lifetimes. We agree with the idea of our fundamental connectedness and unity. But to really trust this as TRUTH without doubt is what transforms us in the most profound way, what opens our hearts to deep peace, joy, love, wisdom, trust and gratitude. Social and cultural illusions are then shaken off, dissolving and unraveling. By living the wisdom and compassion we cherish, being the change we wish to see in the world, the Dreamer slowly awakens, as each of us. We are like butterflies flapping our wings, heralding the coming spring. And though cold winds may continue to blow, the long winter of delusion is nearing an end. Yes, there is still much suffering happening in our world. The news on television may sound scary, but at the deepest level there is nothing to worry about or fear. Our challenge (and gift to others) is to BE role models of the calmness, love, stability, compassion, joy and sincerity that our human family is seeking. 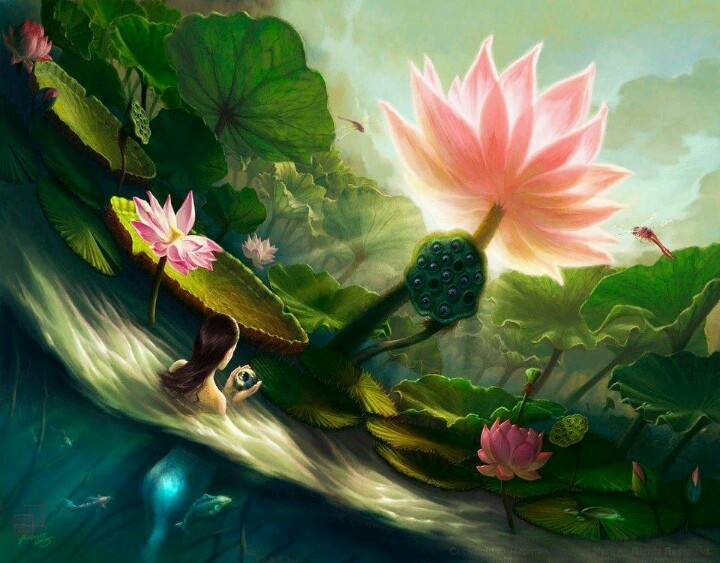 Like conscious lotus flowers unfolding their petals in this sector of the sacred cosmic pond, this is all happening… quite naturally. With poems, murals, art work, outdoor celebrations, innovative projects, community dances, blog posts, memes, videos, talk circles, drum circles, synchronized meditations, organic gardens, group hugs, music (and other healing acts of kindness) we are helping our fellow dreamers to awaken. You are what you absorb. You eat vegetables, fish.. and these are dependent on light, the sun, warmth. The light is related to the moon… and the stars are all related. There is nothing personal in us. The body is in organic relationship with the Universe. You must understand and co-operate with the body. It is ignorance of the mechanism that creates conflict. Inquiry can only be carried out in daily life. Your mind and body are reflected in your behavior from morning until night. Relationships are the mirror in which your inner being gets reflected. 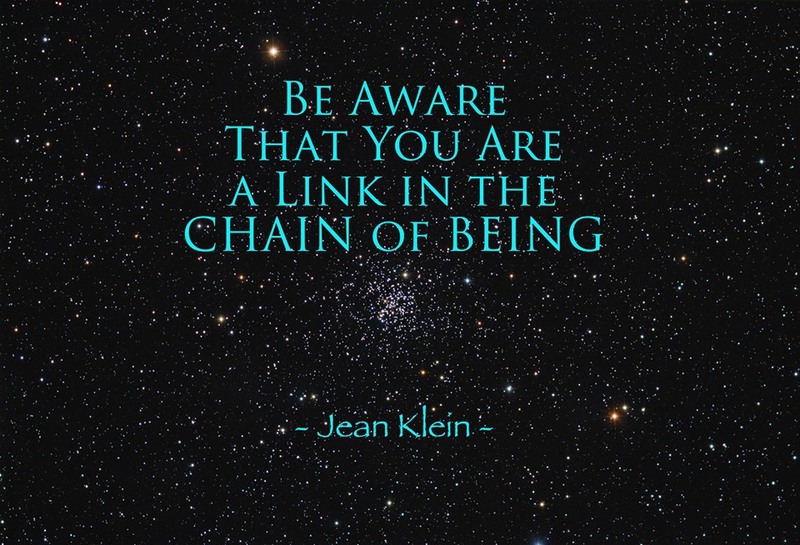 Be aware that you are a link in the chain of being. When you really feel this, the emphasis is no longer on being individual, and spontaneously you come out of your restriction. All phenomena, all existence, is an expression within globality, and the varieties of expression only have meaning and relationship in light of the whole. This entry was posted in Creative Systems Thinking and tagged Alan Watts, creative by nature, creative universe, wisdom. Bookmark the permalink. Hey, cool. Thanks so much John! 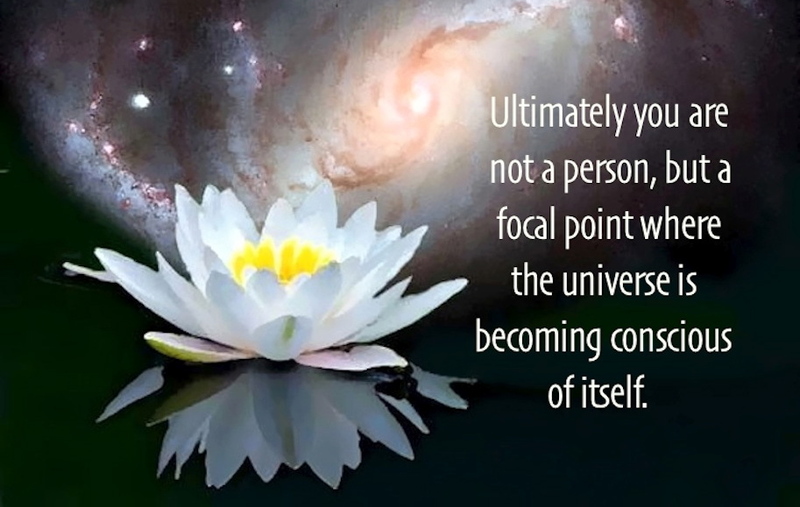 I don’t believe our humanity is a focal point for the universe. Instead I believe our humanity dulls our sensations to our true connection to the universe. I believe “death” as most understand it, frees us once again to be fully connected, to open our eyes and to be 100% immersed as a rain drop is in the ocean, to the universe. Wow, I like this post! Reading more about this topic can help us to open our minds to a new perspectives. Thank you! Hey Brother. Thank you so much for these wise words. As so many other words you share, these have touched me in my inner most sense and I love you for it. Please keep sharing!